A year on, another chance to see Ratmansky’s immensely satisfying reconstruction of Tchaikovsky’s ubiquitous ballet. 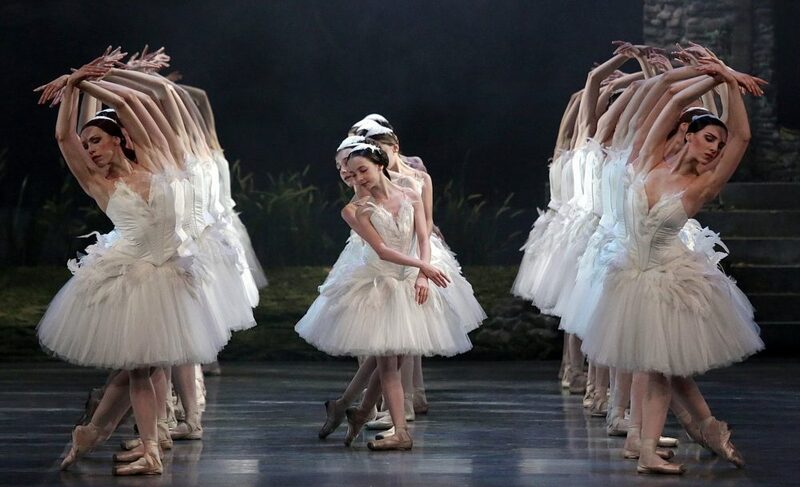 Such was La Scala’s confidence in Alexei Ratmansky’s Swan Lake that even before its premiere in Milan in June 2016 — the co-production with Zurich had had its world premiere four months earlier — it had already been chosen for a tour to Paris later that year and also programmed to be part of La Scala’s following season. So, a year on, there’s another chance to see Ratmansky’s immensely satisfying reconstruction of Tchaikovsky’s ubiquitous ballet. A construction of Marius Petipa and Lev Ivanov’s 1895 version for the Mariinsky, that is, not the original, but unsuccessful, first outing in 1877 when Julius Reisinger choreographed the ballet for the Bolshoi. Ratmansky has a great deal of respect for Petipa and believes that dancers and companies should treat him with similar reverence. But ballet has moved on, is the cry from many balletomanes and dancers when elements of the style we’ve become accustomed to are changed back to how they were intended. Yet, if modern technique is more advanced, why do dancers have problems keeping up with original tempi (La Scala’s orchestra plays thrillingly under Michail Jurowski’s baton) or executing some of the fiendish steps? New, rediscovered technical elements must be worked at and perfected, and then how many more shades will dancers (who understand) have at their disposal to colour their performances. There is nothing about going backward here; it’s about reclaiming something we’d lost. The musicality of Ratmansky’s staging is precise and logical, an example being when the Prince’s elderly tutor, Wolfgang, dances with a young villager and tries to grab a kiss. The whole scene is at one with the score, perfectly judged, as though Tchaikovsky, Petipa and Ratmansky had sat down together to map it out. At La Scala the scene was expertly played by Andrea Pujatti and Marta Gerani, who was also given some complex steps which she handled with skill. 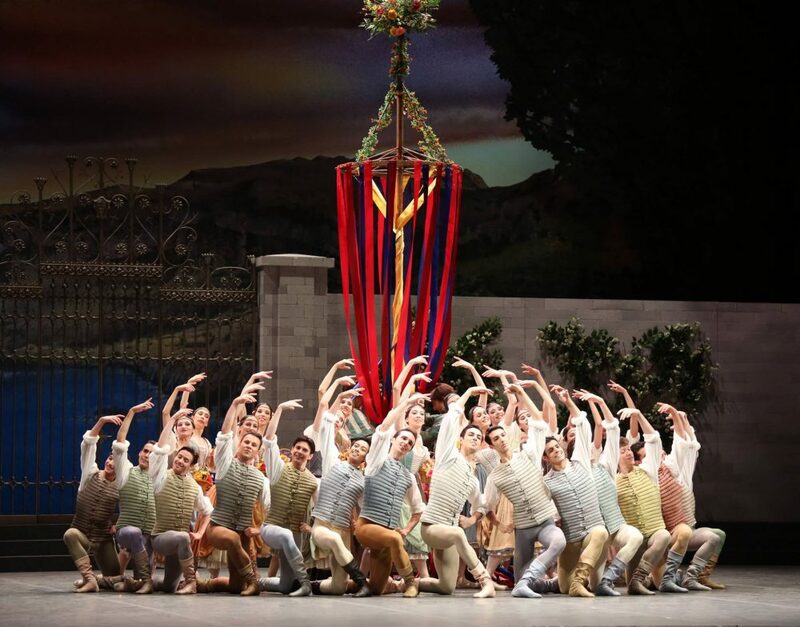 The stools, flower baskets, and maypole are great fun during the Act 1 waltz, creating a stage awash with movement and colour: heads bobbing left and right, dancers hopping on and off stools, ribbons flying through the air around the maypole. Joyous. The peasant dance from the same act is also a delight, and the exiting of the corps during the final bars of the music, leading to a cinematic effect of continuum, is found elsewhere in this version: Odile rushes off during the last chord of the black swan pas de deux, and the Act 3 mazurka also finishes with the dancers moving into the wings. It pleasingly breaks the familiar pattern. Nicoletta Manni, who shone a year ago as Odette/Odile, was again in sparkling form, and manages to communicate more through her dancing in this version of Swan Lake, than in any other piece I have seen her in. She combined the joy of a secure technique with the emotion of fully-rounded characterizations, and the result was magical. An alternative cast featured Martina Arduino who is another dancer at La Scala with a well-stocked technical armoury, though she lacks some of Manni’s aplomb which, I imagine, is due to her lack of performances in a leading role (she is not yet even a soloist, though presumably that will change very soon). As a character, she was more convincing as Odile, where her flirting with Siegfried and conniving asides with Rothbart was all flashing eyes and capricious smiles. The Princes — Timofej Andrijashenko (Manni) and Nicola Del Freo (Arduino) — were both less noticeable than their partners, yet such marvellous dancers. Together with the Benno of Marco Agostino, all three were timid in their mime, and created a wall between them and the audience which only came down for the end of a variation as they took their applause. Christian Fagetti’s Benno was convincingly played. However, in the dancing department, both Andrijashenko and Del Freo were superb. Andrijashenko is long-lined and princely, yet copes with the lighting speed of the beats and footwork. Del Freo has the most incredible feet, his stretched leg is like a steel rod, and he possesses a clean and secure double tour en l’air, which both he and Andrijashenko finished with the deepest and softest of pliés. Mick Zeni (Rothbart), Caroline Westcombe (the Queen) and Andrea Pujatti (Wolfgang) should give them all lessons in confident, clear storytelling through mime. Virna Toppi and Alessandra Vassallo must be singled out for the excellent pas de trois, danced with the always reliable Fagetti on the opening night and Agostino in the later cast. The corps de ballet is first-rate and the hard-working women are wonderful right to the last pianissimi as, with their backs to the audience, their rippling port de bras seem to push aside the water of the lake with their palms. There is no triumphant brass and timpani bellowing as the curtain closes, but a diminuendo over the final three chords, leaving an otherworldly hum in the auditorium… as Tchaikovsky intended. Music and choreography restored. Reisinger’s original Swan Lake choreography was not a failure. His production received more than the average number of performances for new ballets at Moscow’s Bolshoi Theater. It just wasn’t a huge hit. Thanks for commenting. Yes, I know that there were the 40-odd performances after the premiere, but it was the critical bashing that the production and, indeed, Tchaikovsky’s music received that I was thinking about. Many sources say ‘flop’, which it certainly wasn’t. Is it true tickets to see Swan Lake at LaScala are $300 US, as my friend in Lucca reported? Surely there are some less expensive seats. How can young people afford such high prices? Unfortunately they are expensive; too expensive. Often, the gallery is packed and the stalls are half full. Better all sold out at lesser prices. I understand that balancing the books is tricky, but it seems to be squeezing out those who are passionate about ballet and theatre hoping that tourists and businessmen will fill seats. From what I see that isn’t always the case, and is this the type of theatre that we want?